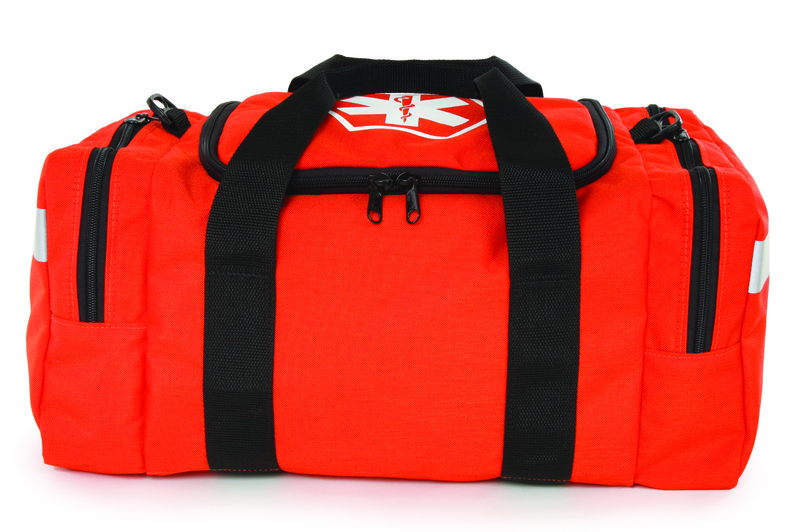 The First Responder bag is large enough to accommodate multiple patient care. It features a large center compartment with U shaped zipper for easy access. Webbing carry handles and 3M™heat applied silver reflective trim to minimize contamination. Made from Cordura Nylon and utilizing #8 YKK double zippers on all openings. Overall dimensions are 18”W x 11”D x 10”H. Silk screened White “Star of Life” & ID bar. Wt. 28 oz. Can be paired with the optional shoulder strap pictured below. Made in the USA.